Building project. 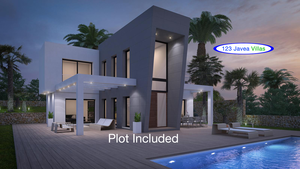 This three bedroom villa will be complete with swimming pool to be built on a plot of your choosing with many customisable features (plot not included in price). 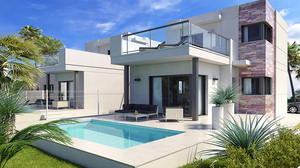 Four brand new villas to be built in El Poblets, to the north of Denia. Each villa will comprise of three bedrooms, three bathrooms and will include private swimming pool and garage. Due for completion March 2019. 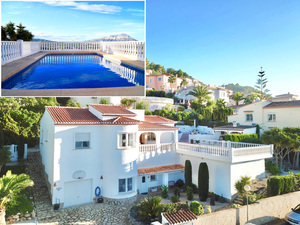 We offer you a Villa located at Javea in the neighborhood of Villes del vent. Consisting of 3 bedrooms and 2 bathrooms. This Villa was built in 2009 on a plot of 1001m2. Totally equipped with double glazingPrivate pool. Must be seen !! !